Bharatiya Vidya Bhavan is one of the organisations that begin their music festival in November. The concerts at Bhavan are not ticketed. And the weather does not get very cold that helps the seniors in the neighbourhood attend the concerts in large numbers. 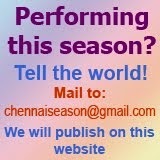 Almost all the popular artistes perform here. The auditorium gets full-house for the evening concerts. 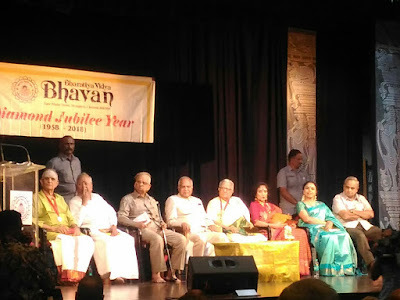 Hon'ble Governor of Tamil Nadu Banwarilal Purohit inaugurated the festival and presented the Bhavan's Legendary Awards to Umayalpuram Sivaraman, Vyjayantimala Bali and T.N. 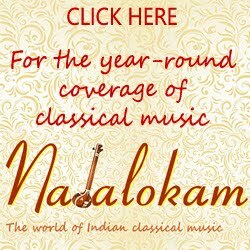 Krishnan. 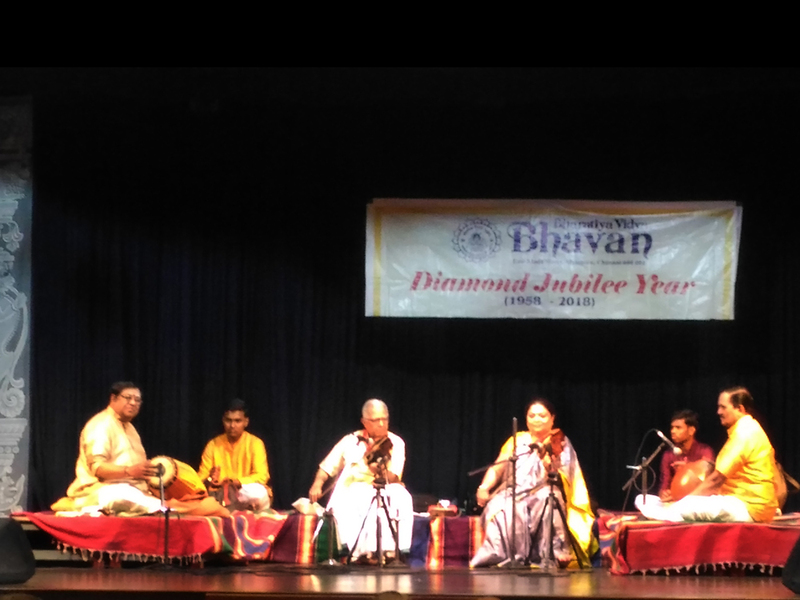 This is Bhavan's diamond jubilee year music festival. 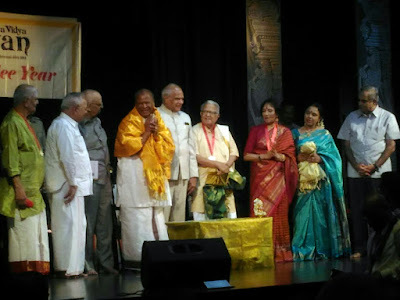 Sudha Ragunathan, a guest of honour at the festival mentioned three Ps - passion, perfection and perseverance of the artistes who were honoured on that day. Then followed a short violin concert by Prof. T.N. Krishnan with his daughter Viji Krishnan accompanied by Thiruvarur Bhakthavatsalam on the mridangam and Vaikom Gopalakrishnan on the ghatam.